The Brandeis Library is proud to announce our brand new Faculty Study on the Goldfarb Mezzanine, next to Judaica. 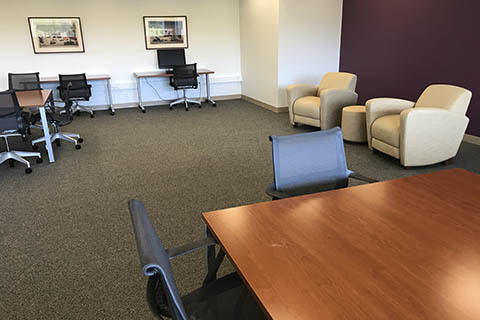 The room features soft seating, work spaces, a computer terminal and a fantastic view—and it is accessible only to faculty through card swipe. If you have comments, requests, or ideas for the Faculty Study, please contact Department Coordinator Walt McGough at wmcgough@brandeis.edu.